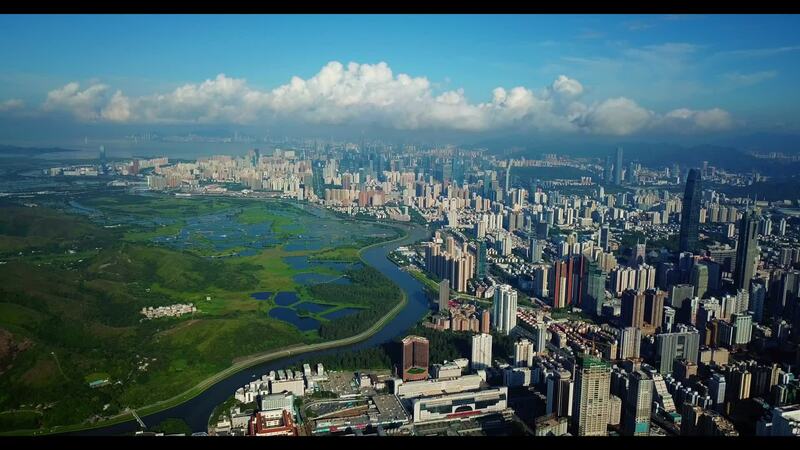 In this amazing aerial video by contributor Droneland, you'll get a tour-by-drone of China's great Pearl River Delta. The estuary of China's third largest river is home to over a hundred million people and for decades has been one of the world's most important economic regions. The area explored is that beyond (inland) from Hong Kong, which sits at the northern mouth of the river's mouth. This is Guangdong Province, whose largest cities (Guangdong and Shenzen) are amongst the largest in the country.